Got a fisherman in the family? This adorable embroidered Christmas stocking with fish is sure to please. Have a furry feline you want to include this holiday season? Personalized Christmas Stockings like this look great on the mantel so you can include your pet in the fun! 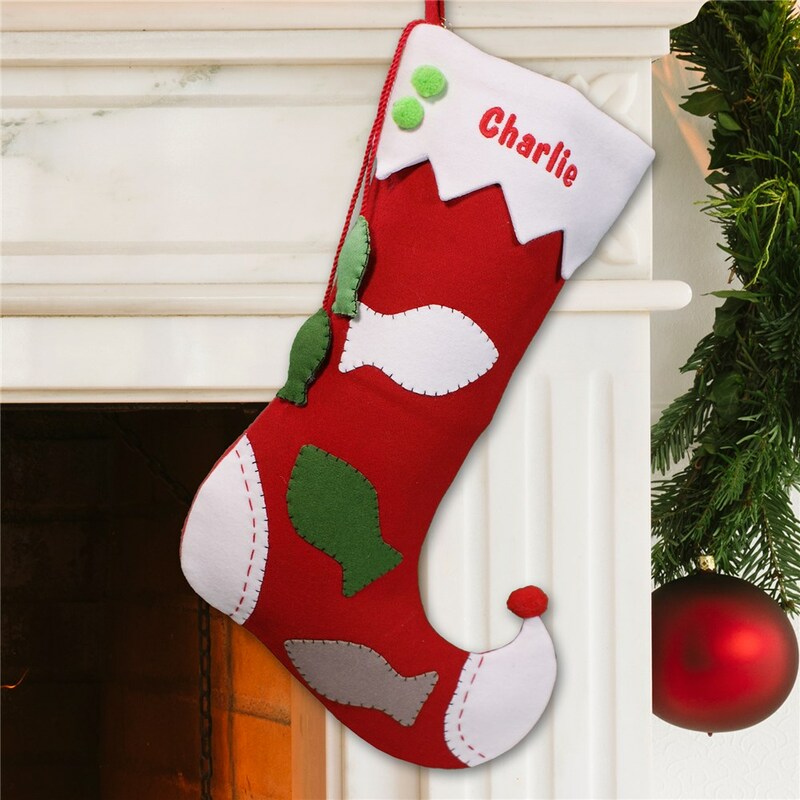 This embroidered stocking will be personalized with any name (pet or human) on the cuff in red. This sticking is very cute. Additional Details Shop GiftsForYouNow and you get FREE personalization on every Christmas stocking and gift. Check out this red and ivory personalized Christmas stocking or something new like our red ribbon Christmas stocking! Shop GiftsForYouNow for personalized Stockings for your mantel in time for the holidays.